This listing is for customers purchasing a fixture only. Please do not purchase unless you are ordering or have already ordered a fixture. Thanks! 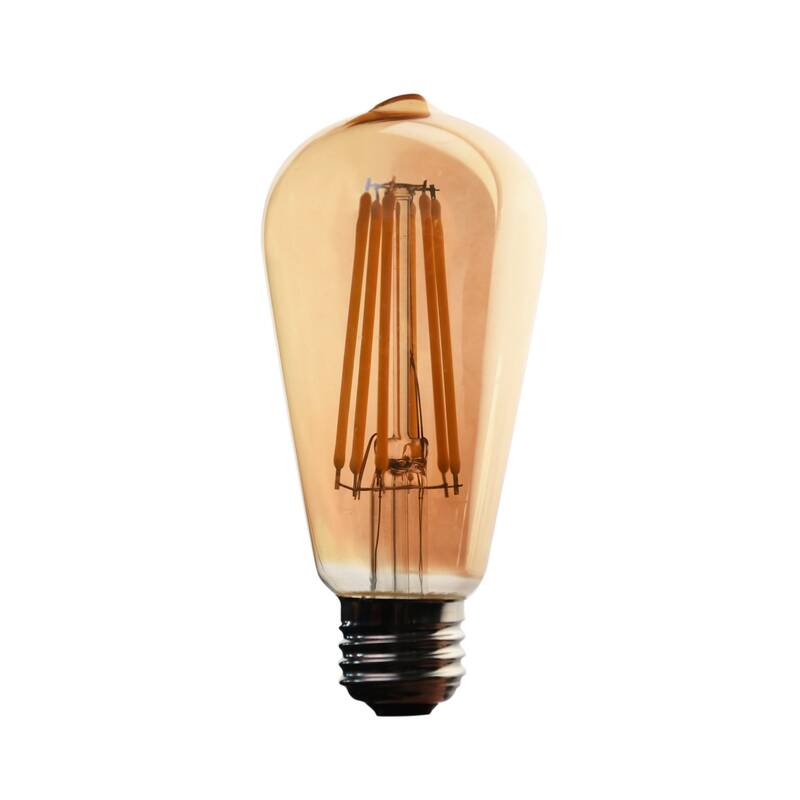 Vintage Edison filament style bulb perfect for pairing with our fixtures. This puts off WARM 2400K light just like the old style Edison bulbs. Features 6 of the long LED filaments instead of the common short ones, giving it a look closer to the original Edison bulbs. 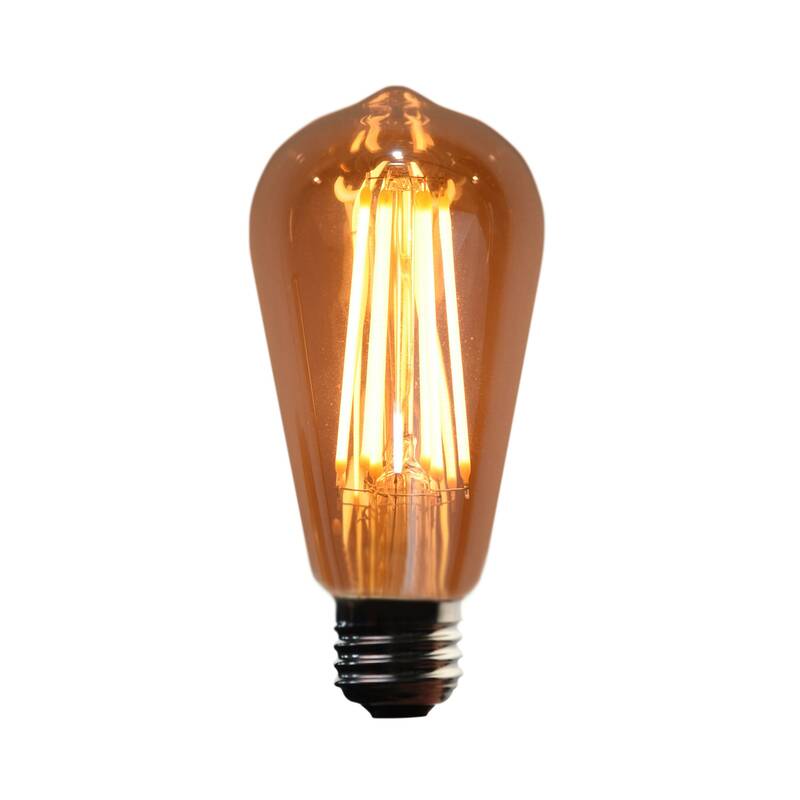 This bulb is LED with a 15,000 hour life expectancy, amber glass, only uses 4.5 watts of power, produces the same amount of light as a 40 watt traditional bulb, 400 lumens. ST54 Shape, 2.3 inches wide, 5 inches tall, 120V, and a standard E26 medium base. Dimmable but requires a LED compatible dimmer switch (Like most LED bulbs). Check out the shop for other great bulbs and fixtures. Thanks!